Strengthening your ability to coordinate and implement supports and participate in the community. 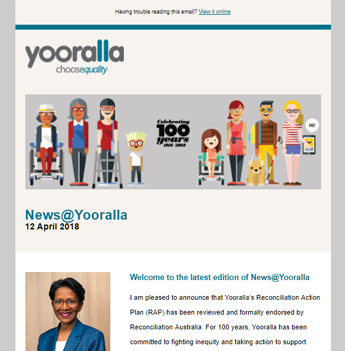 Yooralla provides Support Coordination to help people with disability and their family or support network to navigate the National Disability Insurance Scheme (NDIS). Support Coordination can support you to understand and implement your NDIS plan. We can help you to find the right service providers for your needs, and coordinate all of your supports, including mainstream, informal, community and funded supports. Working with you and your support network, we can assist you to explore your options, develop resilience in your own network and community, to resolve points of crisis and to build on informal supports. Our Support Coordination team aims to build your capacity to undertake tasks associated with the management of your own supports. The type of Support Coordination you are funded for will be outlined in your NDIS plan. Short-term assistance to implement your NDIS plan, including identifying service providers and negotiating Service Agreements. Longer-term support to build your capacity to navigate the complexity of services and supports you need from a range of providers. Specialist support coordination where you have a more complex situation. re-develop your goals prior to your NDIS plan review. Yooralla’s Support Coordination team is comprised of people with extensive disability services training. Yooralla provides specialist supports for people with high and complex needs, and we are specialists in children's early intervention supports. We know the NDIS – we have been supporting participants from the beginning of the NDIS. To find out more about our Support Coordination services, please contact us.